Meridian is pleased to announce a partnership with the University of North Carolina at Chapel Hill for the 4th edition of the U.S. Department of State Bureau of Educational and Cultural Affairs’ Next Level initiative, a two-way international hip hop exchange. Through hip hop music and dance, Next Level fosters cross-cultural creative expression and exchange in diverse and underserved communities. The program promotes understanding and conflict resolution among local communities while supporting the professional development of local artists. Next Level brings people together and encourages greater understanding through the universality of music and dance as a form of self-expression. The program sends groups of American beat makers, DJs, B-Boys/B-Girls (or experts of other types of hip hop dance), and MCs abroad to conduct workshops, master classes, community performances, and other outreach activities. All activities are planned and executed with the purpose of promoting mutual understanding among people of different cultures, regions, and generations, in the process deepening the international network of hip-hop artists. 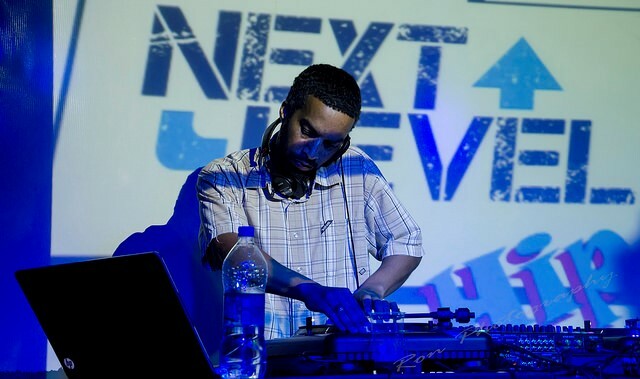 Next Level activities focus on promoting conflict resolution and interacting with younger and underserved audiences in areas with little or no access to American hip-hop musicians. The program also focuses on arts entrepreneurship through workshops and discussions on global music business best practices today. Next Level artist-educators are selected in an open competition on the basis of artistic quality and commitment to education and cultural engagement. In 2017-2018, Next Level will take teams of hip-hop artists to 5 additional countries to promote musical and cultural exchange, entrepreneurship, and conflict resolution. Each team will spend 2-3 weeks teaching and performing in the host countries. Participants receive per diem and an honorarium; travel and lodging costs are covered through the program. For more information about Next Level and past participants, visit the Next Level homepage and be sure to follow along on social media. Thank you for your interest in Next Level. Completed applications and supporting materials were due by January 15, 2017, at 11:59 p.m. EST. If accepted, applicants can expect to be notified by March 2017. Residencies will take place between summer 2017 and spring 2018.